Photos, pictures and images of Essaouira, formally Mogador and the Port of Timbuktu, a port in the western Morocco on the Atlantic coast. Essaouira has been recognised as a good anchorage since ancient times. During the Middle Ages, a Muslim saint named Sidi Mogdoul was buried in Essaouira, possibly giving its origin to the name Mogador, which could also have originated from the Phoenician word Migdol meaning a “small fortress” . Essaouira is an outstanding example of a fortified town of the mid-eighteenth century, surrounded by a wall influenced by the Vauban model. The Carthaginians set up a trading post at Essaouira in the 5th century BC to produce the famous purple dye from the murex sea snail. Known as Tyrian or Royal purple this dye was still being produced in Essaouira by the Berber King Juba II around 1st century AD. In 1506, the king of Portugal, D. Manuel I, ordered a fortress to be built there, named Castelo Real de Mogador. The Portugese only had a short stay in Mogador and the fortress of Castelo Real of Mogador fell to the Regraga , a sub-tribe of the Masmuda, four years after its establishment, in 1510. During the 16th century, Spain, England, the Netherlands and France tried in vain to conquer the locality. Essaouira remained a haven for the export of sugar, molasses and the anchoring of pirates. Essaouira is also an example of a multicultural centre with diverse ethnic groups, such as the Amazighs, Arabs, Africans, and Europeans as well as Muslim, Christian and Jewish inhabitants. The late foundation of Essaouira was the work of the Alaouite Sultan Sidi Mohamed Ben Abdallah (1757-1790) who wished to make this small Atlantic town a royal port and chief Moroccan commercial centre open to the outside world. Known for a long time as the Port of Timbuktu, Essaouira became one of the major Atlantic commercial centres between Africa and Europe at the end of the 18th century and during the 19th century. 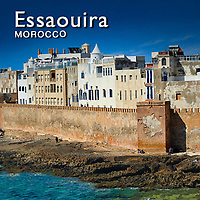 The region around Essaouira is today famous for its Argan oil production which is only produced in Morocco.